Extreme weather can impact the pavement, damage it and create visible cracks in the surface. Asphalt is generally resilient but bad weather does damage it to a large extent. Usually, after severe weather, it is prudent to check the surface of the asphalt to ensure that it isn’t damaged or it can cause any accidents or incidents. 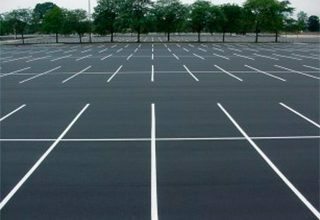 If you’re managing a facility like a parking lot or something similar, you need to ensure that there aren’t any major dents or holes in the surface. Such things can lead to accidents and injuries that you might be liable for later on. There are some simple steps to avoid such incidents. Prevention is better than coping with the repercussions of a damaged asphalt surface. The first thing you need to do is conduct a thorough visual inspection of the parking lot. After severe weather conditions have passed, hold off the inspection for a few days time. Cracks can develop after exposure to dryness or heat too. When you conduct your investigation, you might see that small cracks that were present previously on the surface might have widened and new cracks may have formed over the harsh winter months. You need to measure these cracks. Anything between ¼ inch and 1 inch in width can be sealed via cracksealing. You need to check and see if the parking lot requires thorough sweeping and cleaning. If there’s a lot of debris, you might want to remove it from the surface. You also need to thoroughly inspect the storm drains in your parking lot. If the drains show signs of sinking or deterioration, you need to consider that there might be problems underneath the surface. You might want to call a professional to investigate the matter. If it has been more than three years since you applied sealcoat to the parking lot, you need to apply it again. Check to see if the sealcoat and the markings on the lot surface are starting to fade. You need to identify areas where there might be standing water. Pay special attention to the problem areas and figure out whether you need just basic lot maintenance or major structural repairs. Once you have inspected the lot thoroughly, you need to plan how you’re going to approach the problems you spotted. You might also need to plan a proper budget before arranging for a professional to have a look at it.